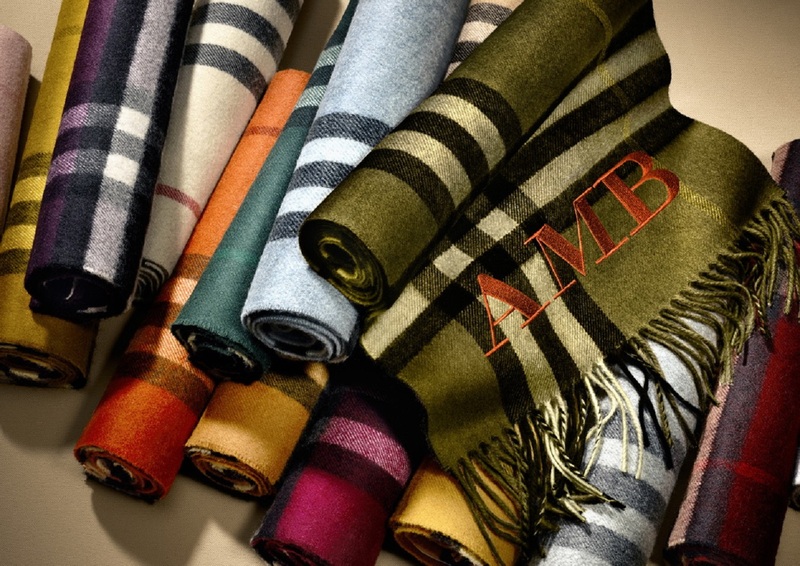 Burberry takes consumers behind the scenes with their video showing the handmade process of the Burberry Scarf Bar. Made exclusively in Scotland, this video gives a behind the scenes view into the Burberry Scarf Bar. Crafted by artisan hands and available in 30 colors, find out more about Burberry’s luxurious cashmere scarfs. The video arrives just in time for Burberry to expand its British made Heritage icons, the Burberry Heritage Trench Coat and the Burberry Cashmere Scarves. The Heritage Trench is now available in Navy and Parade Red. The staple originated as a coat to protect officers from the elements. Since its debut in 1912, it has spent its 103 years evolving into a timeless coat. These colors became available in September and join the current roster of honey, black and stone. And of course all of the cashmere scarves coordinate perfectly with the palette choices for the Heritage Trench Coat. On a side note: I also personally went gaga for Burberry Resort 2016. The brand loves to show range but only time will tell if they take the plunge toward wearable tech. Perhaps Burberry’s What If Group, their division dedicated to brainstorming the brand’s future and technology, has some surprises up its sleeve. If/when they do take the plunge, competition will be steep. Hermès is entering the wearable market via Apple Watch Hermès and Ralph Lauren’s developing biometric fibers. Even Emanuel Ungaro has teamed with Omate for a luxury wearable ring. In a couple years, Burberry might expand its Heritage icons to include some fashion technology. Ah… a girl can dream.